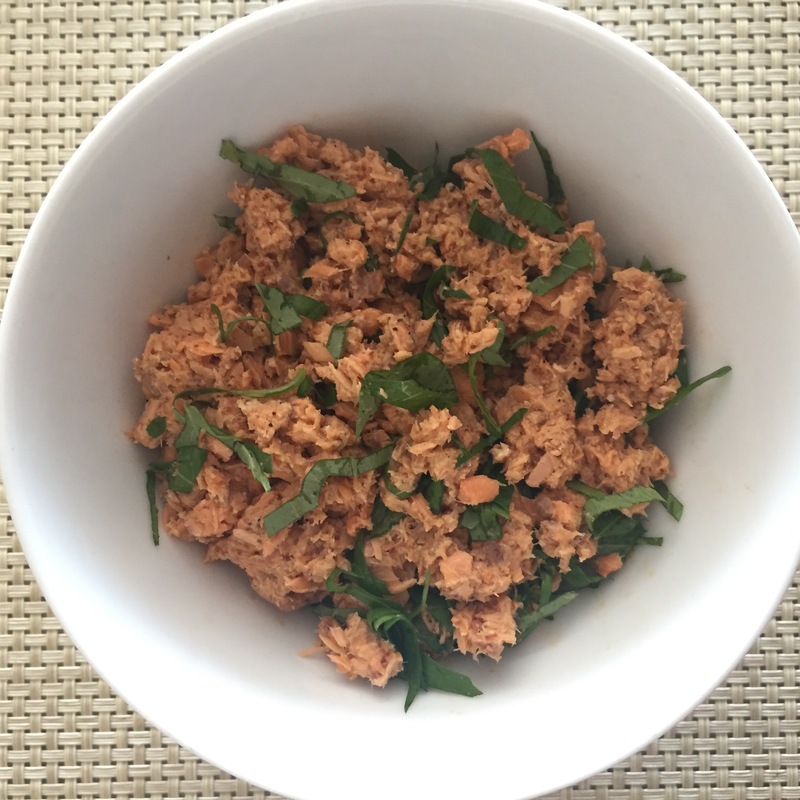 Post-workout Eats: Canned Salmon w/Mustard+Basil | eat. live. paleo. paleo lifestyle made simple and delicious. no caves required. I just put together this bowl of canned salmon for myself and it totally hit the spot! A speedy post-workout protein injection. Canned salmon mixed with mustard and fresh basil, seasoned with salt and pepper. I would normally eat this over arugula, but we’re out of arugula so this will have to do.